LGC’s special report on partnership working is now available on LGC’s longform platform. The report includes LGC research on commercialism in councils, insight from Civica and Capita, and a case study from Nottingham City Council, supported by Northgate Public Services. Click the image below to view. At Aylesbury Vale DC everything is viewed through a commercial lens. Workplace wellbeing is a focus for today. 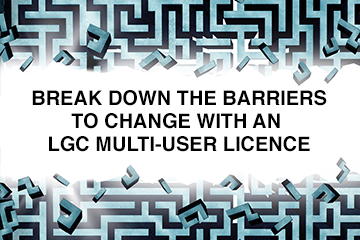 LGC has undertaken a significant security upgrade to protect readers using our site. I have two daughters, aged six and eight, and although they would struggle a little with the complexity of fiscal autonomy, devolution and public service reform, they do know a top Disney film when they see it. After tumultuous changes inside the main political parties and a multitude of cabinet appointments, local government finds itself with a new communities secretary. Local government needs to skill up and think differently if the sector is to make the most of commercial opportunities to plug the funding gap, according to a report. How do we ensure that social workers can handle complex situations – before we employ them? Whether you are a “change is good” advocate or a “what’s wrong with the status quo?” proponent, change is part of all our lives.